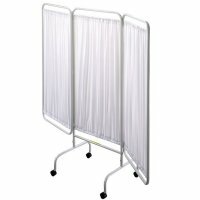 Ocelco has the right hospital privacy screens for any room setup. 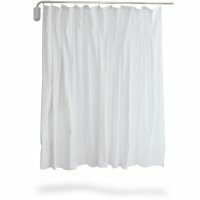 Our hospital privacy curtains allow you to choose your color and structure style. 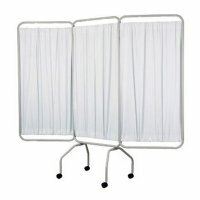 These flame-retardant medical partitions can be purchased with stable crutch tips or the more portable twin casters. 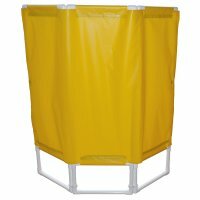 The PVC Privacy Screens with or without casters are lightweight yet durable and come with removable Velcro panels. 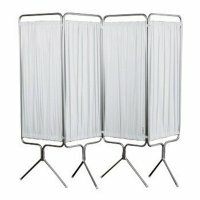 Purchase your privacy screens from single to 5 folding panels. Curtains can limit space especially in an already tight area such as a shower and our telescoping certain rod eliminates this problem. If you have any questions please contact our Customer Service at 800-328-5343 and one of our representatives will be happy to assist you. 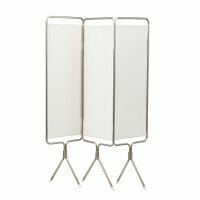 Privess Swing Away privacy screens are fixed privacy solutions that can easily be drawn to protect patient privacy or quickly swung out of the way for unobstructed viewing and patient access. 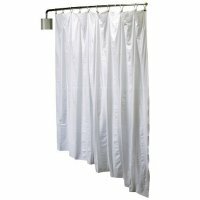 Healthcare grade privacy screens give special needs to patients, the privacy that they need for bed bathing, doctor consultations, surgery, or nurse patient privacy. Healthcare grade privacy screens with 3" casters give special needs to patients, the privacy that they need for bed bathing, doctor consultations, surgery, or nurse patient privacy. 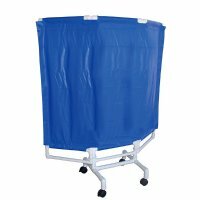 Healthcare grade privacy screens with 2" casters give special needs to patients, the privacy that they need for bed bathing, doctor consultations, surgery, or nurse patient privacy. 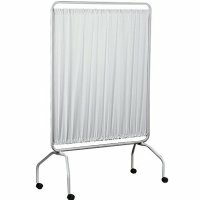 The Privess Modular hospital privacy screen’s unique snap together design offers 360 degree swivel and infinite connectivity.